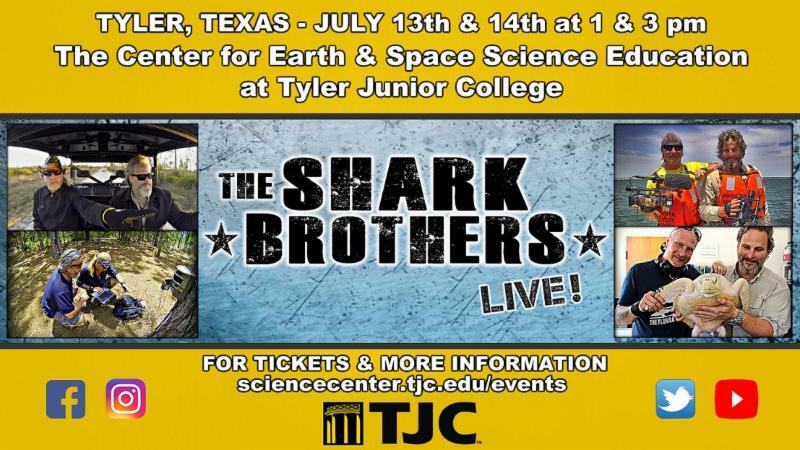 We are so excited to have The Shark Brothers come back to The Center for Earth & Space Science Education at TJC!! During this interactive live appearance, the Shark Brothers will share how their unique life experiences and interests have led them down a career path where exploring wild ideas has become a way of life and how their philosophy of "Go-Do-Learn-Share" might just inspire you in some unexpected ways. Sean Paxton and Brooks Paxton aka the The Shark Brothers are content producers and presenters whose innovative work has been featured on networks including the Discovery Channel, National Geographic and PBS! PBS National Geographic Discovery Channel.